“… to defy Theresa May’s plans for a hard Brexit and tear her Scottish party away from English control after the UK Tories’ disastrous General Election result. This is revisiting an idea first brought up by her sidekick Murdo Fraser. Tank Girl is a giant amongst pygmies. She is feted in a Tory party noticeably low in talent and working in circumstances where she is gifted a unifying constitutional idea. She may be motivated by the toxic homophobia of her parties new civil partnership with the DUP who consider homosexuality a ‘abomination’. Or she may feel that she should jettison herself from the policies of the UK party which she constantly has to pretend she has nothing to do with. All of which is a good idea, if a little ironic given that she’s created an entire political career around opposition to people making their own decisions in Scotland. It is going to present some difficulties though. They will have to present some policies (other than ‘We said no and we meant it’). These policies may be different from the rUK Con parties and they may be at odds. If they are not different what’s the point? I don’t think she’s thought this through. It’s almost as if the Conservatives favourite taphophile prediction of the ‘Ulsterisation’ of Scottish politics just came through. They went one better though. The Ulsterisation of British politics is complete. On the other hand [ironies unbound] the New Autonomous Scottish Tory partY could provoke the Scottish Labour Party to do some thinking for itself along these lines. The couple who’s partnership almost ruined them now inspiring each other to more and more self-determination. Vile separatists. As with all political parties,it comes down to funding. when the reality is,without funding from head office they would cease to exist. The Tories rely on global funding for their campaigns,money from tax havens,dodgy sheiks etc etc so I expect they will have access to the same sources. Since,as far as I can tell,the Tories have no policies in Scotland,what is the point. Might as well just have the colonial Scottish Office to run things from London. Are they proposing to rebrand themselves,the “Ruth Davidson” party? Suspect this is more to do with head office cosying up to the DUP than anything else as that will definitely cost the Ruth Davidson party future votes. It would be such fun if an independent Scottish Tory party adopted the SNP’s policies on Brexit. How about ‘Colonial Governor’ of South Georgia!!! She is an honorary Colonel. Honestly. In all seriousness. pathetic to always be nice to people who hate you. discussion. What kind of place are we living in. I agree with your sentiments re “lack of backbone” for me I believe a solution to this deficiency is to somehow re-visit the role the role of Party Leader versus First Minister for Nicola to fight all fronts and be expected to win all debates on all topics is too much for one person. Doing the First Minister day job as Davidson would say is one role . Fronting the Independence debate is another role requiring another spokesperson or persons. Given the availability of Salmond and Robertson I believe the SNP need to re-organise to that end. 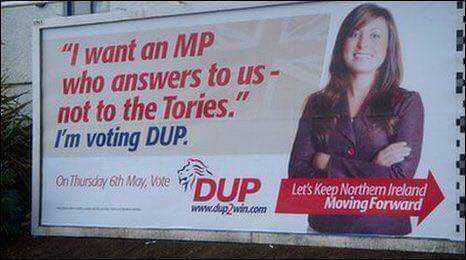 The DUP is mired in a “Dark Money” scandal. Might Ruthie and her SDUP be drinking from the same cup? Interesting comment by Poly Toynbee on TV this AM that DUP is the political wing of the OO. Having played her Brit Nat, Bronco Ruthie finds herself up to her armpits in all the sleaze of N.I. politics. Aye she played the orange/loyalist card relentlessly and now she wants to hold her nose in the air. A daft wee lassie playin wae matches and dynamite! Let them have their day. After the gloats and sneers have faded they will end up in a worse place than pre election, which May called to crush tge opposition. 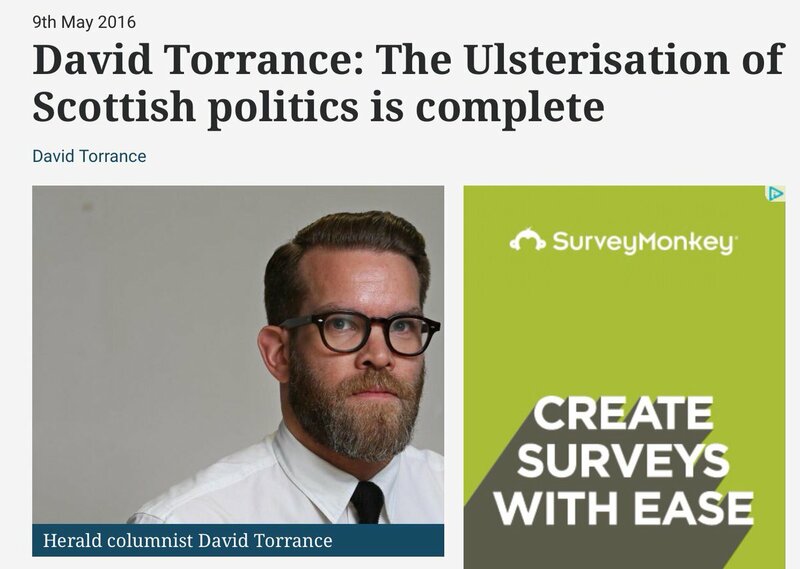 They are now in bed with the unionist Taliban who are even more tixuc than the UK Torys. They are now to the right of UKIP. The first of many casualities have already fallen. The dark money poured in to these parties is mire poison in their wells. It is all ending in tears. Scotlands independence is inevitable despite them. Counter gangs are all part of Brigadier General Sir Frank Kitson’s strategy for resisting independence favouring colonies. It’s Britain’s standard response where democratic choice looks likely to succeed. Controlling the media and funding counter organisations is but the start. Ruthie tipped for Tory leader’s job! Of course they would have to find her a safe Tory seat in England pronto. A time for reflection is needed, not a period of blaming and vitriol. Of course, many supporters of independence are disappointed by the outcome and the realisation that had the SNP held on to 6/7 of the seats won by the Tories, then the whole Westminster arithmetic would have been different. 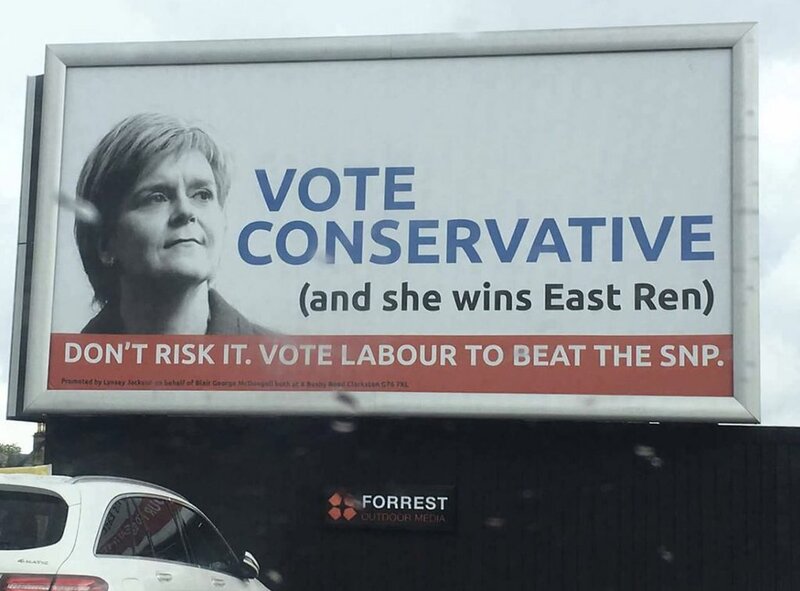 It also seems clear that since the 2014 referendum and the 2015 GE, the Conservatives with some strong support from Labour and Lib Dems focussed a lot of attention on the traditional Tory/Lib Dem areas, where many of their supporters were voting SNP, in part, to attack Labour with its central belt heartlend. It is clear that Mr Corbyn has produced some kind of paradigm shift in the polity, not least in articulating distributivist and collectivist policies and in encouraging more young people to vote. Another factor is the genuine uncertainty caused by the EU referendum vote. Many people who wanted to end the union with England became cautious because the severance from Europe added another very significant factor. Even at this moment, we are seeing unrest in the Tory Party and it looks like Mrs May’s twinset is on a shoogly peg. But, what emerges is not yet formed.